As the presence of elder abuse in our society is made more aware to the public, we are finding that the problem may be bigger, and worse, than initially suspected. An increasing number of elderly citizens are put in nursing homes but there has always been a suspected underreporting of elder abuse cases. This may be because there is a lack of training on detecting abuse and the elderly themselves may be reluctant to report abuse due to fear or threat or the inability to do so cognitively. Though statistically, there is an increasing trend in reports of elder abuse, studies estimate that only 1 in 14 cases of elder abuse come to light. Last week, a story came to light of a New York woman who suspected her 89-year-old grandmother Ana Louisa Medina, who suffers from both dementia and Alzheimer’s, was being abused in the Bronx nursing home she was placed in. After noticing unusual markings and bruising on her body, Diana Valentin initially inquired the administrators of Gold Crest Care Center of what was going on. She was told the injuries were incurred when her grandmother banged her hands on the bed railings. Still feeling suspect, Valenin decided to place a hidden camera inside of her grandmother’s room. Valentin says the hidden camera recorded approximately 600 hours of footage and was enough to have her send Medina to an emergency room, and later to a different nursing home. Footage recorded was clear evidence of abuse. Valentin stated, “The first video that I saw, she grabbed my grandmother’s arm, twisted it back, lifted her off the bed, and slammed her into the bed.” Valentin is referring to the nurse’s aide assigned to her grandmother, Sandra Kerr. Other footage shows Kerr pushing Medina into a metal bed railing and of her hitting the sides of Medina’s body. As of now, Kerr has been arrested and is being charged with endangering the welfare of a physically disabled person. Additionally, three workers have been fired from the Gold Crest Care Center because of this investigation. Ana Louisa Medina is now being cared for in a nursing home in New Rochelle where she is safe from the abuse she experienced in her time at Gold Crest. Unfortunately, many cases of elder abuse do not get the same happy ending. Many seniors who are admitted to care facilities such as nursing homes are done so because they have unique vulnerabilities and need close care. This also means they can be more vulnerable to abuse however. Common law rules of reasonable care are required to be followed in these types of facilities at all times. 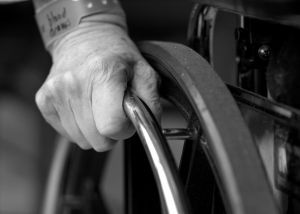 This means that if a resident is being harmed while under the care of a nursing home, the victim and family can seek compensation for losses if harm could have reasonably been prevented. Diana Valentin was right not to let her suspicions go uninvestigated. If you believe a loved one is experiencing abuse in a nursing home facility, take action. Talk to administrators about your suspicions and if continual abuse occurs, legal action may be the best course of action. Our Bay area based elder abuse attorney can help you receive the compensation deserved. Contact our office at 1(800)427-7020 for a free consultation today.